« Open House: A Window into the Waldorf Curriculum | Thursday, January 31st, 6:00 p.m. to 8:00 p.m.
What is smart? Is it simply acing a standardized test? Or something deeper? Waldorf education understands that developing human potential requires far more than just academics. Tucson Waldorf School helps children cultivate their natural curiosity to create their own path: intellectually, physically, and emotionally. Waldorf is one of today’s most relevant educational movements. TWS faculty and staff invite you to schedule a tour and discover why. Tours are scheduled by appointment and begin at 9:00 a.m. at our South office, which is accessed from the first parking lot off of Sutton Lane closest to River Road. Tours are for adults only and typically end around 10:30 a.m. 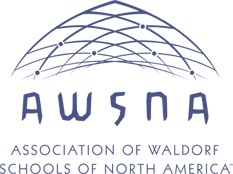 The morning will include an overview of Waldorf education with examples relevant to a wide range of ages; an opportunity to observe classes in session; displays of Main Lesson work; and a brief Q&A with a current faculty member.